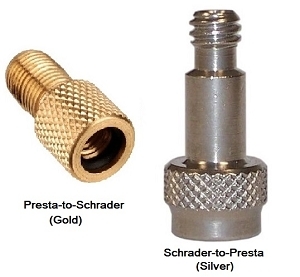 Schrader-to-Presta (Silver): Lots of Presta-to-Schrader valve adapters exist, (we offer one too) but this is the only Schrader-to-Presta adapter we've ever found! 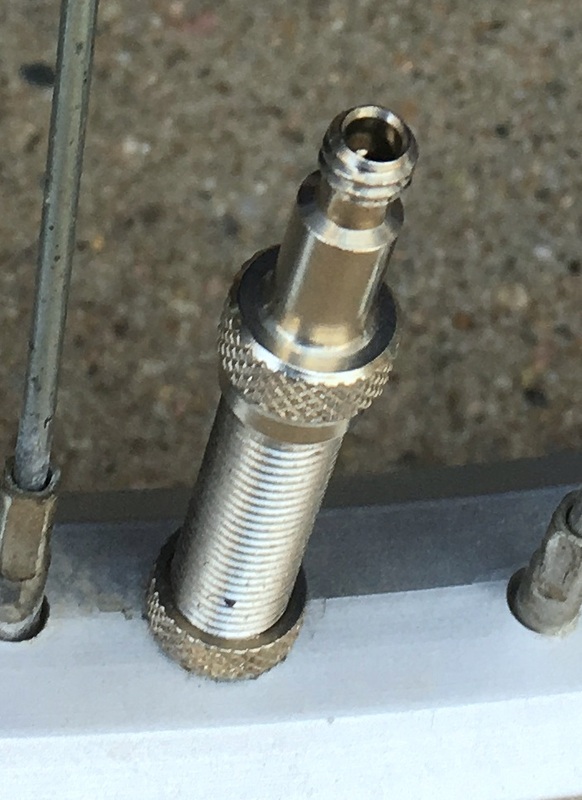 Use your Presta pump on Schrader valves with this clever Schrader-to-Presta adapter! PLEASE make sure you know what you're ordering before you order this one (we often get returns from people who didn't understand what they were ordering). 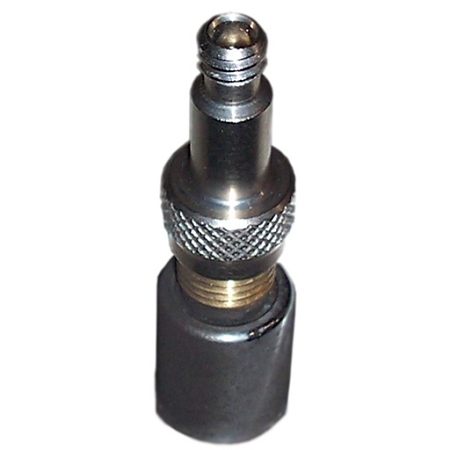 This adapter converts Schrader valves to Presta so they can be inflated with a Presta pump. Car tires, wheelbarrow tires, your Uncle Harry's 1994 mountain bike, this adapter makes inflation of any Schrader valve a breeze! Just thread our Schrader-to-Presta adapter onto a Schrader valve, and you're good to go! Extremely convenient. It gives you the flexibility to switch out your valve type or pump type at will. High-quality nickel-plate steel construction. Note: Use the gauge on your pump to read tire pressure as you pump the tire; because the adapter covers the Schrader valve head, a hand-held pressure gauge can't read pressure. 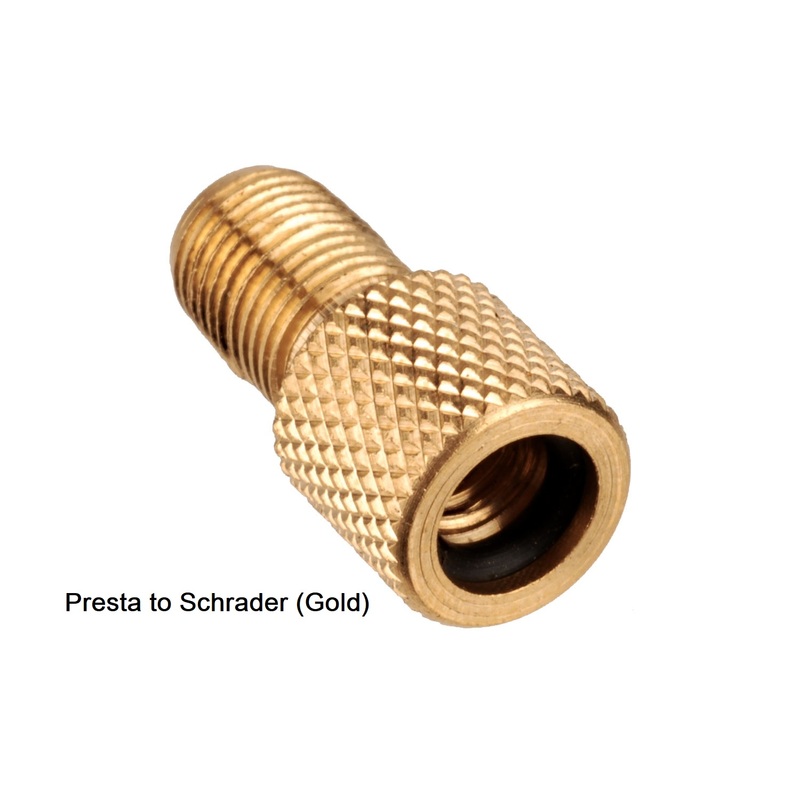 Presta-to-Schrader (Gold): Adapters like this on are common. Ours is made in Italy, is nicely finished, and comes with an internal sealing o-ring. Not sure which to order? Order BOTH at a discounted price! Why order on Amazon when you can get free shipping on this product right here at Cantitoe Road! I didn't want to buy a Schrader pump for my mountain bike and this adapter works perfectly - compact and easy to use. Just what I needed to fill my grandson's Schrader tires with my Presta frame pump on a bike trip we did together.